We close out the work week with the fall schedule for Nick at Nite! They are making changes that will actually start this coming Monday -- Sept. 10. Nick at Nite released these changes just yesterday and will mark the returns of Full House and Family Matters. Both '90s sitcoms will start Monday, with Full House airing Sun-Thurs in the 8pm hour and Family Matters every morning at 5:30am. Nick at Nite will also get a bit nostalgic and air The Nanny Sun-Fri from 9-11pm (Saturdays will just be 10-11pm). The Fran Drescher sitcom had been airing in the early morning line-up (5-6am) but will now move back to primetime. Current primetime series My Wife & Kids and George Lopez will move to late night, with George airing from approx. 1:12am-3:24am (4 airings) every night and My Wife & Kids right after that from approx. 3:24am-4:28am with two airings. Yes, Dear is now only airing very early in the morning, back-to-back each day at approx. 4:28am-5:30am. The only constant on the schedule is...Friends, which will remain every night from 11pm-1:12am. 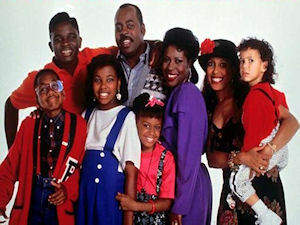 Leaving the schedule will be Everybody Hates Chris, which will remain on sister network TeenNick and BET. 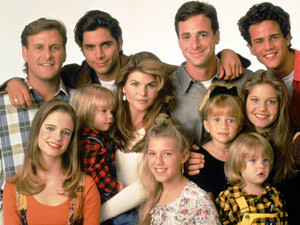 Back to Full House, the series had been airing on sister network TeenNick in the early mornings but was dropped last week...now you know why. Those are the changes as pretty much the schedule will be seven days a week except 8-11pm due to Nickelodeon airing later on Fridays and Saturdays. The only stunt, besides this week's "Friends Week" (Sept. 4-9 all night), will be the classic '80s movie E.T. The Extra-Terrestrial on Sunday, Sept. 16 from 8-10:30pm. We can also expect original sitcom See Dad Run (previously titled Daddy's Home) starring Scott Baio to air on Saturday nights starting October 6. As soon as we hear the time period we will let you know. We're hoping for a Charles in Charge marathon to help promote it and we do have a better chance of that I say since they are airing '90s series in primetime again. View the full Nick at Nite Fall 2012 schedule. Will they make additional changes come October when See Dad Run premieres? We will let you know, so as usual...stay with us! For the week of September 10-14, 2012, we have many current sitcom stars and past sitcom stars on TV talk shows! All times listed are Eastern. So get your DVR's (or whatever you use) ready! Ready? Here is all what you need to know for the coming week! Kelsey Grammer (Frasier/Cheers) - Watch Kelsey on Conan at 11pm on TBS. Kathy Griffin (Suddenly Susan) - Kathy appears on a repeat of The Late Show with David Letterman at 11:35pm on CBS. Simon Bird (The Inbetweeners) - Simon visits Jimmy Kimmel Live! at 12am on ABC. Andrew Rannells (The New Normal) - Andrew is a guest on Late Night with Jimmy Fallon at 12:37am on NBC. Josh Radnor (How I Met Your Mother) - Josh drops by LIVE! with Kelly and Michael, so check your listings. Tony Danza (Who's the Boss?) - Tony chats with the ladies of The View on ABC at 11am ET/10am CT-PT. Woody Harrelson (Cheers) - Catch Woody on Late Night with Jimmy Fallon at 12:37am on NBC. Kenan Thompson (Kenan & Kel) - Kenan stops by Late Night with Jimmy Fallon at 12:37am on NBC. Roseanne Barr (Roseanne) - Roseanne appears on a repeat of The Late Show with David Letterman at 11:35pm on CBS. Aubrey Plaza (Parks and Recreation) - Aubrey is a guest on a repeat of The Late Show with David Letterman at 11:35pm on CBS. Dakota Johnson (Ben and Kate) - Dakota drops by Late Night with Jimmy Fallon at 12:37am on NBC. Matthew Perry (Go On/Mr. Sunshine/Friends) - Matthew visits LIVE! with Kelly and Michael, so check your listings. Jesse Tyler Ferguson (Modern Family/The Class) - Jesse appears on The Talk on CBS at 2pm ET/1pm CT-PT. Brooke Shields (Suddenly Susan) - Brooke guest co-hosts The Talk Wednesday-Friday on CBS at 2pm ET/1pm CT-PT. Allison Janney (Mr. Sunshine) - Allison appears on The Ellen DeGeneres Show, so check listings. Katey Sagal (Married with Children/8 Simple Rules) - Catch Katey on The Late Late Show with Craig Ferguson at 12:37am on CBS. Tony Danza (Who's the Boss?) - Tony continues to make the rounds on Late Night with Jimmy Fallon at 12:37am on NBC. Fran Drescher (Happily Divorced/The Nanny) - Fran talks about her new movie, Hotel Transylvania, on The Wendy Williams Show at 12am on BET or on your local stations. Thomas Lennon (Reno 911!) - Watch Thomas on The Late Late Show with Craig Ferguson at 12:37am on CBS.